Few purchases you will make for your home are as important as selecting a new furnace. Your furnace is an investment in the comfort and safety of your home. It is not a decision you should make rashly or without having done your homework. Before you begin; however, we recommend having your heating system tuned-up by a qualified HVAC technician. A professional heating technician can assess and determine the condition and efficiency of your furnace now. Finally, when it comes to time to size and install your system- choosing the right contractor becomes just as important as selecting the right furnace. Make sure to choose a reputable, licensed company to ensure that you see the savings that you expect. 1. Fuel- Gas or Electric? Most people will, usually, stay with the type of furnace that is currently installed in their home. However, you should consider the benefits of each before you decide. Electric furnaces are cleaner and don’t generate fumes but gas are less expensive to operate. 2. 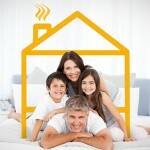 Efficiency- Look for furnaces that are high in efficiency. You can compare models using the AFUE (Annual Fuel Utilization Efficiency). While a higher efficiency rating will often translate into a higher price tag the most efficient systems are also the least expensive to operate. A high-efficiency unit will use 90-98 percent of the fuel while an older 80 percent gas furnace will use only 80. Pilot lights are a thing of the past too. Modern systems save energy by using an electronic ignition that lights the flame instead of a continuously burning light. 3. Size- Choosing the properly sized furnace involves matching the size of your home with the heat output of your new system, known as British Thermal Units (BTUs). A furnace that is too small will obviously not heat your home well. While a furnace that is too big for your space will not be more effective at heating your Raleigh area home, but will waste fuel by cycling on too frequently.